Maryam Montague has written an article, "Modern Marrakech Express" in the August/September edition of American Craft Magazine, published by the American Craft Council. 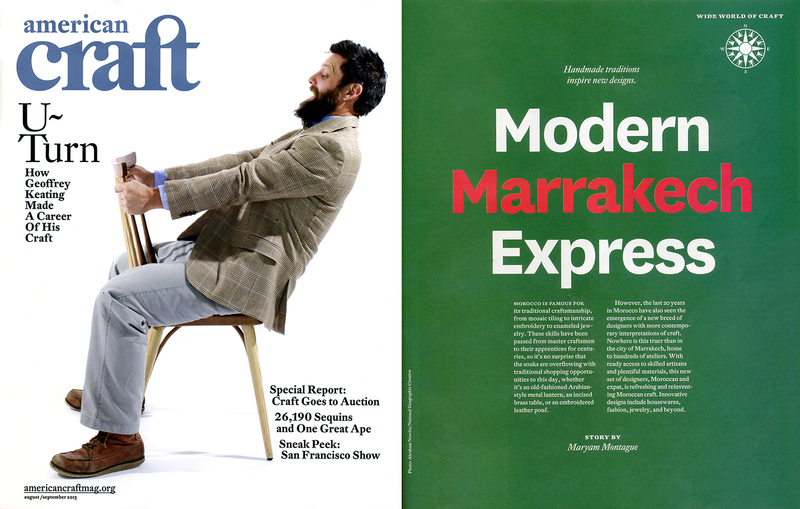 Maryam's article is about contemporary designers using Morocco's long tradition of handicrafts to create new and exciting products and designs. Joanna Bristow is one of two designers Montague calls "standout Jewelers" who "shine especially bright on the Marrakech scene". Praise indeed from some one in the know. Maryam Montague is not only author of an award winning blog but is also author of the beautiful design book "Marrakesh by Design" published by Barnes and Noble.